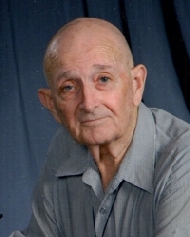 Herman Dean Lowe obituary. Carnes Funeral Home. Passed away peacefully on Wednesday, October 25, 2017. He is survived by his brother Charles “Charlie” Lowe, Daughters: Brenda Dominguez and Shelley O’Connell, Son Michael D. Lowe, Granddaughters: Amanda Dominguez, Samantha Troublefield, April Dominguez, Christina Dominguez, Stephanie Smith, Grandsons: Jeremy Lowe and Troy Lowe, Nephew: Roger Escareno, Grand Nieces: Madeline and Isabella Escareno. Preceded in death Dean’s Father and Mother, Charles Raymond Lowe And Floy Murray Lowe, and Sister, Mary Lou Escareno, Wife, Barbara Garner Lowe. Dean’s passion for science and his detail oriented personality led him to a career as a Geologist. After graduating from Lamar University, he married the love of his life, Barbara. Three children later Dean found himself in Saudi Arabia on the adventure of a lifetime. He often spoke of the desert and witnessing the magnificent sunrises, blazing sunsets and the Milky Way Galaxy in the Arabian sky. Dean was definitely a people person. He never met a stranger. You could count on Dean to have a joke or story for every situation. Dean’s faith and love for the Triune God of the Universe, the Father, Son and Holy Ghost was strong and unshakable to the point of being absolutely certain that his Death here on Earth would be a magnificent transition to eternal life in Heaven with Our loving Creator of everything that is or ever will be. An event that truly should warrant a great celebration. Dean will be greatly missed by family and friends. Until we meet again RIP “Dizzy Dean” Some Where Over the Rainbow..